‘Created by locals’ – what does that mean? All the spots in the iDiscover neighbourhood guides are handpicked by locals. It’s their favourite places and stories that make our guides what they are: a unique testimony to the spirit of the neighbourhood . 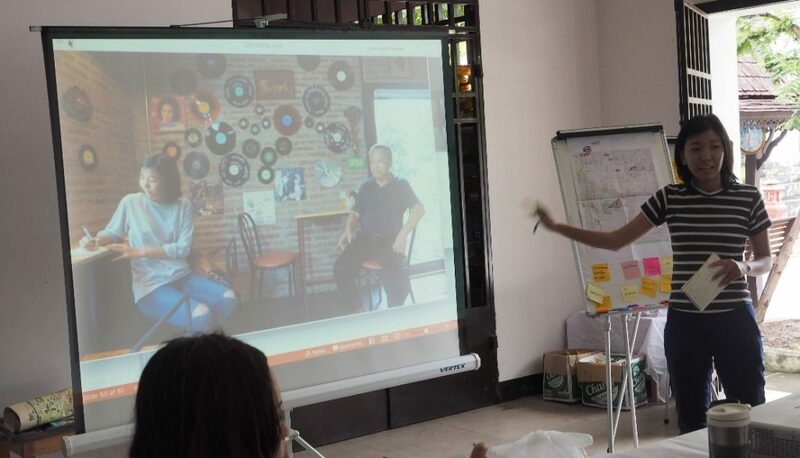 Tiffany recently went to a Chiang Mai Mountain Town in Thailand to co-curate a new iDiscover guide. 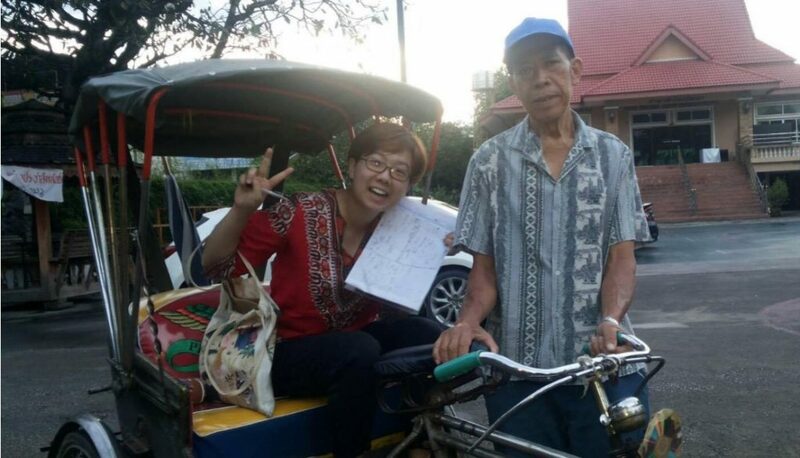 She spent a few days exploring the Muen Ngoen Gong neighbourhood in the old walled city and this is what she found. I packed a laptop, some maps, markers and plenty of post-its for my trip to Chiang Mai and also a warm jacket. It was November and up there in Thailand’s mountainous North, the days get short and the evenings chilly. This was not a holiday – although it almost felt like one – I was on my way to meet a group of passionate locals. 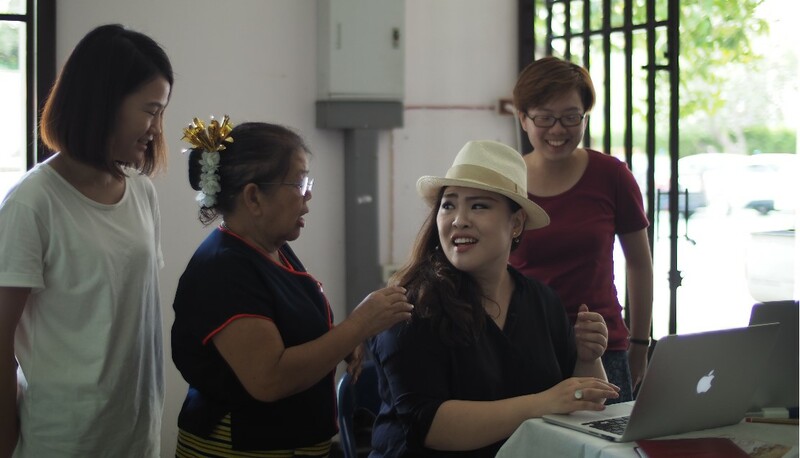 I’d spend three days with them in the old town of Chiang Mai to create a new guide in the iDiscover series. The slow pace of the city – or as locals say ‘Ton Yorn’ – was a pleasant surprise. I met a passionate group of people, who introduced me to the best their city has to offer. The group was as diverse as the city itself, we had a TEDx organiser, a local artist, some jazz musicians, and a barista. Best of all were the five senior citizens who had lived in the old town for over 50 years and knew the place inside-out! We were off a great start. The meeting point was a wooden temple Wat Prasat. Sure, you go to a temple to pray, but here in Chiang Mai, they also use it for all sorts of community gatherings. We started with an ‘identity game’ to find out what this city is all about, it’s spirit, what defines the place. How can you tell you’re in Chiang Mai and not in Bangkok, Yangon or Vientiane? The answer was more complex than we thought, and we had to go back quite some years to find it. To the 13th century to be exact. In those days Chiang Mai was the undisputed capital of the Lanna Kingdom. It was huge, stretching all the way from Southern China to Northern Burma. In the 13th century, Lanna was a superpower. To quote a missionary from those days: ‘it’s well-stocked rivers and fertile valleys ringed by high mountains and thick teak tree forests’. Much to the envy of the kings of Siam (Thailand) and Burma (Myanmar), Chiang Mai became a thriving trading town. There were frequent attacks on this wealthy empire and the kings built thick city walls to defend it. It is this fiercely independent and deeply cultured spirit that makes Chiang Mai unique. Auntie Padeng showing us the tradition of Lanna dance in full costume! We asked the locals to pick a quintessential Chiang Mai neighbourhood. Without hesitation, all fingers pointed at Muen Ngoen Kong. This is a quiet pocket in the southwestern corner of the old city, where the city spirit is alive. So what makes it so unique? The answer is the local Puak Taem community. It is the rooted group of original Lanna residents that define the sense of the place. ‘You find the Lanna spirit in the Phra Singh temple and in the traditional workshops where they make clothing by hand. 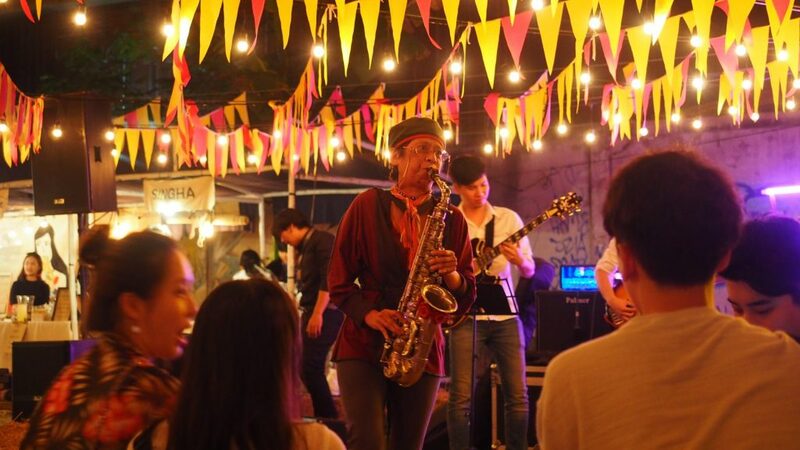 But you also find it in contemporary street art and the local spicy sausages’, says Khun Opor, a well-known Chiang Mai jazz musician. As the many stories filled the room with wonder and laughter, we couldn’t wait to go out and explore! After lunch, we began to explore. We split into groups that each had the task to find five places that are uniquely Muen Ngoen Gong. 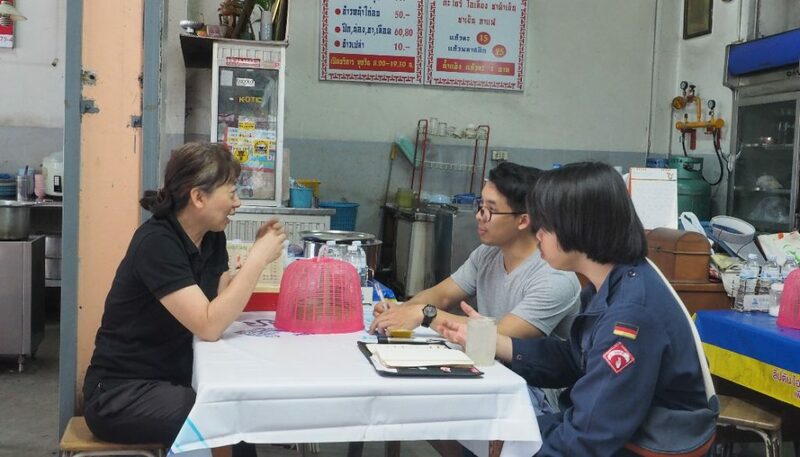 Easy picks were the famous temples – Wat Puak Taem and Wat Phra Singh – but our local friends also passionately advocated for some old school local eateries, local grocery shops and favourite hipsters’ hangouts like Mix Kaffee and Bird’s Nest Café to be added to the list. At the end of the day, we had 44 places and lots of special local treats. 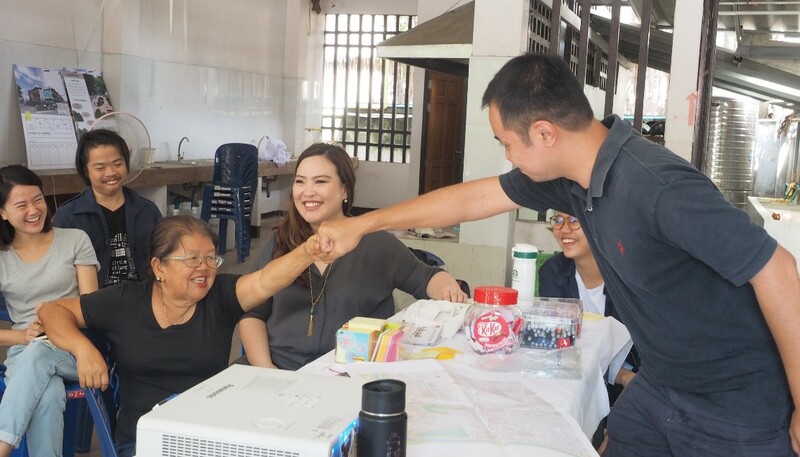 We shared stories as we feasted on spicy Lanna snacks, homemade spring rolls and fried chicken from local favourite Spun FC. This morning was the most interesting part of the process. We filtered the long list of 44 sites into ‘only’ 25 unique locations. As expected, the longest and most passionate debate was about food. How to choose? Cheap and aroy (tasty), traditional dishes or eateries with the longest family history? 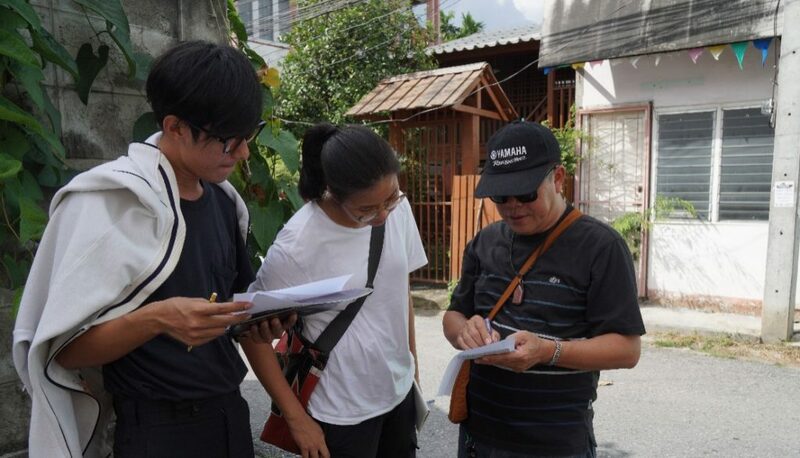 We scrutinised every establishment on the list and subjected to the group’s critical eye. No efforts were spared to find the true local favourites. 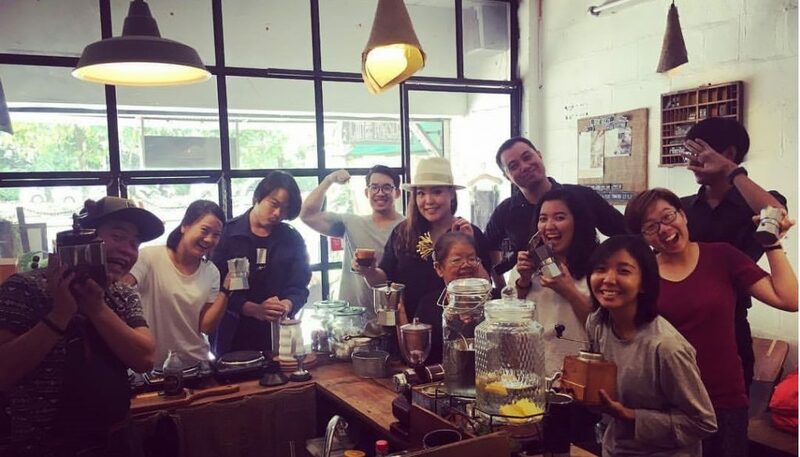 P. Peng brought a picnic basket filled with mocha pots and props to champion his friend’s artisan café Mix Kaffee. Needless to say, the café made it onto the list. 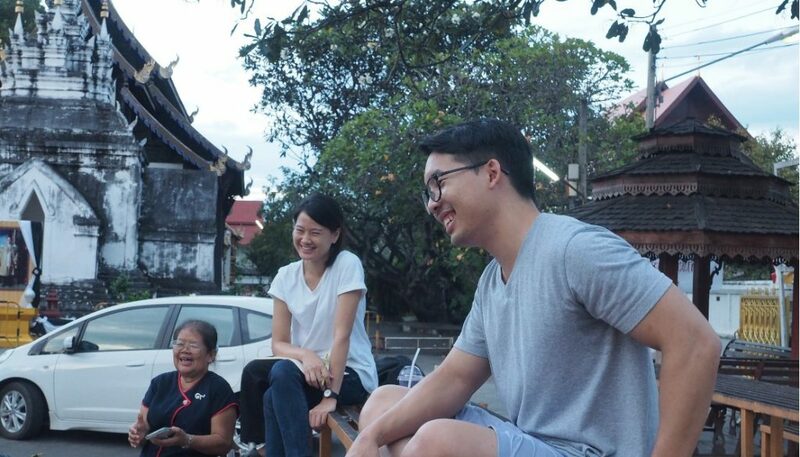 Uncle Mo and Auntie Deng can talk about stories of Chiang Mai old town for hours! 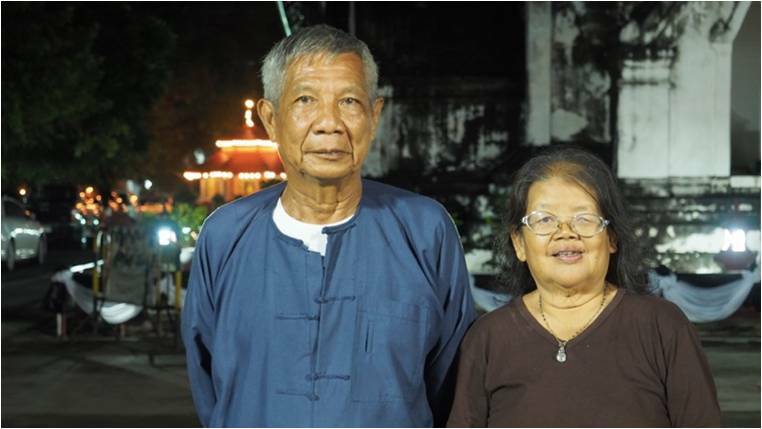 Meet Uncle Mo and Auntie Padeng, equipped with 80 years of community history. They were our source of wisdom. When they spoke, everyone turned silent. They shared legends of ancestral gods and spirits from long ago and threw in some gangster stories for good measure. Inspired, and with a good dose of background information, we set out again. We went back to the sites to interview owners and customers to get the full lowdown. We loved the places where the royal craftsmanship still is alive. Such as auntie Pond’s Lanna lantern atelier, and auntie Nuch’s woodcraft workshop. We were in awe of uncle Inn and auntie Mol’s community herbal garden with home-grown herbs. My own favourite was the brass atelier at Wat Puak temple, where they still make ornaments by hand. By the time everyone came back to the temple, it was late in the evening, dark and getting cold…. (good thing I packed a jacket!). We’d cleared some myths and we’d met some pretty inspirational people. We shared, we ate and we learned and laughed a lot! It was such an idyllic setting. A young hip crowd sitting under a big tree, listening to their elders, hanging on to their every word. An evening to never forget! Now that had picked our list of 26 sites, we had to decide on the best possible route. At iDiscover we take great care to avoid busy routes and select interesting laneways. It took us a while to find the ideal way to navigate the part of the city. We meandered through back lanes slowly making our way to the old city walls at the South gate (Suan Prung Gate). Then we followed the moat to Suan Dok Gate to end at some popular local cafés in the Soi’s around Arak Road. Time for a well-deserved drink. On one thing we all agreed: the route should start at Wat Prasat, the friendly neighbourhood temple where our discovery had begun. And why not? It is always good to start an adventure with a little prayer. It took another month of hard work to flash out the stories, check historic facts, take extra photographs and translate text. We were all super excited when we got to the final two steps: uploading text and visuals of all the 25 points into the iDiscover app and to find a local illustrator to design a beautiful map. 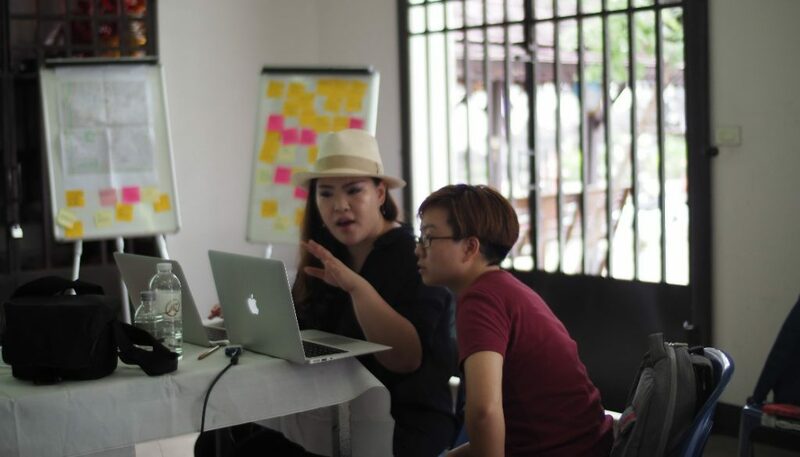 We proudly launched the iDiscover APPXMAP at the Chiang Mai Design Week 2017. A week-long celebration of the city’s creative atmosphere and deep art, cultural and artisan roots. 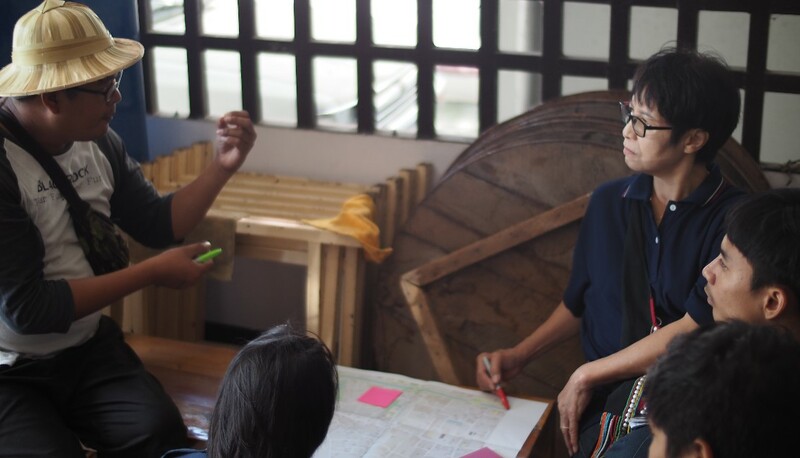 It brings together designers and creative professionals with younger generation and local communities. A great opportunity for us to share old stories, create a sense of awe and spark inspiration. We celebrated our newfound friendship until the early hours in Thapae East jazz club. 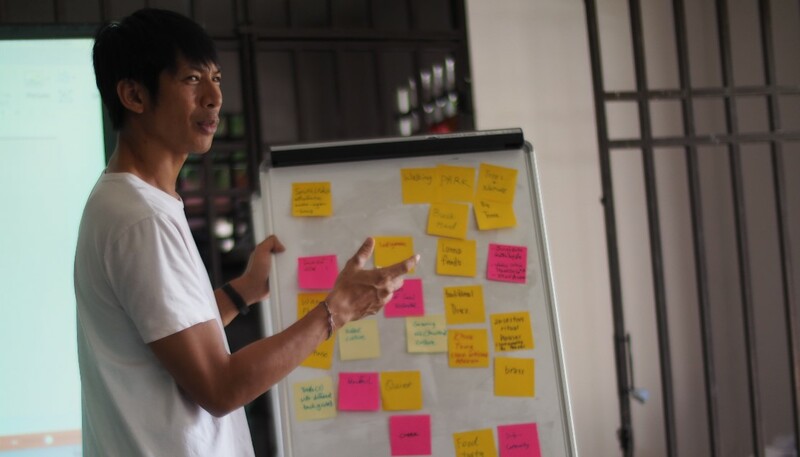 Curated by locals – All credits go to the Puak Tam and Muen Ngoen Kong communities. 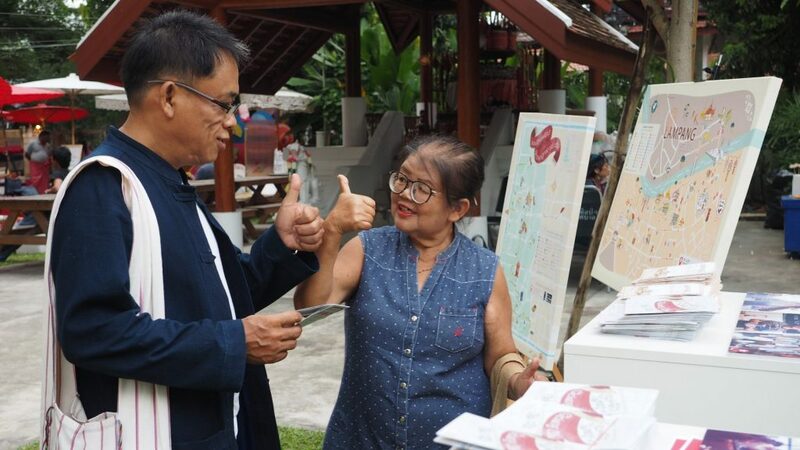 A special thank you to: Ploypilin Kasemsuk, Tus Werayutwattana, Nune Udomsinn, Phongsila Commak, Pharadon Phonamnuai, Numfon Yurayartsumphant, Ronnie, Rachata Sam Kraiwong, Kodchapak Srisangwan, Sasiphon Chinakat, Roong Tsupatcha, Wanakorn Wongkongkaew, Wuwin Win Chawla and Suwaree Wongkongkaew. 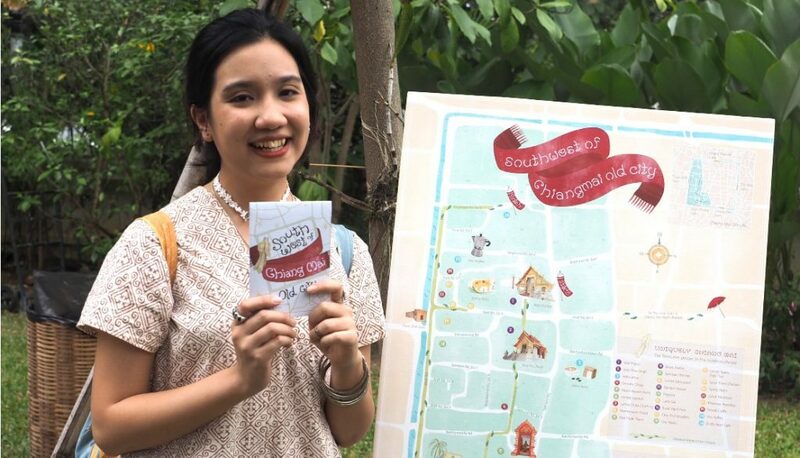 Designed by locals – talented designer Roong Tsupatcha illustrated the map and gave it her magical touch! 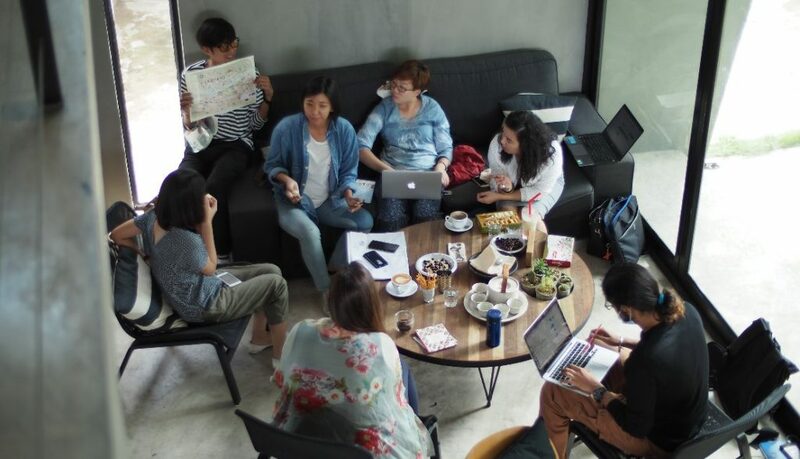 Powered by locals – We could not have done this without the generous support of Chiang Mai City Arts & Cultural Centre, Wat Prasat, Akha Ama, At Chiang Mai Hotel, 186 Cafe & Bar, Citylife Magazine, Alliance Francaise Chiang Mai, Tedx Chiang Mai, Addict Studio and Cathay Pacific. 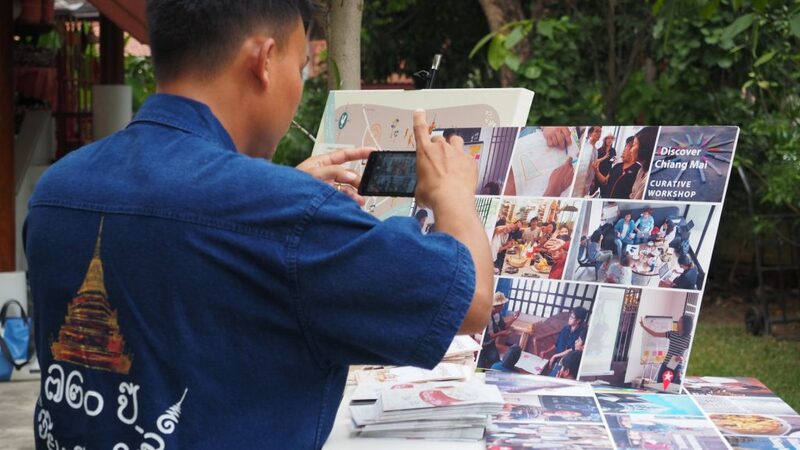 Download the free iDiscover app to travel like a local in Chiang Mai. Find the illustrated map in the iDiscover shop or pick up a free copy at Mix Kaffee, Bird’s Nest Café or Akha Ama. Hong Kong born free-spirited and adventurous urban traveller Tiffany Tang has a passion for culture and cities. 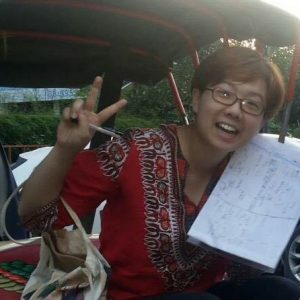 She has recently fallen in love with Northern Thailand for its friendliness and relaxing creative environment. 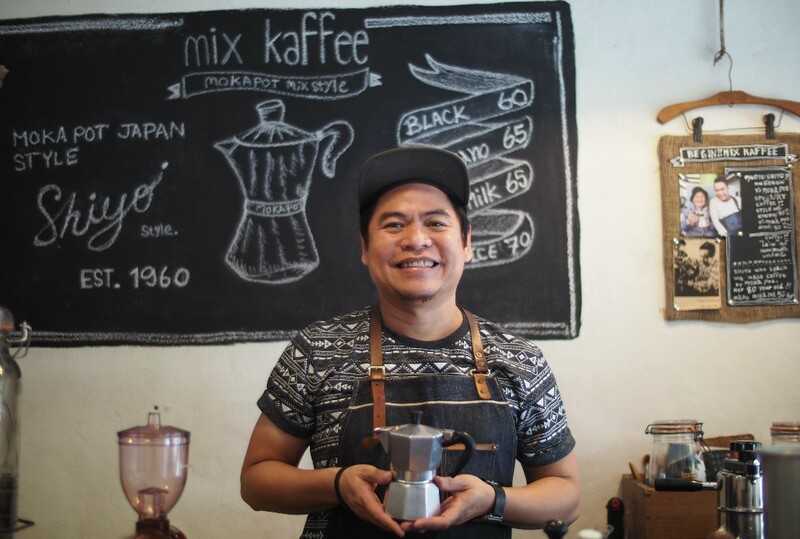 Favourite spot in Chiang Mai: Mix Kaffee, barista-brewed mocha pot coffee shop at Arak Road.